Classroom Freebies Too: Do you want to build a Snowman? This song is played over and over at my house. We are thinking snowmen this month in and out of the classroom. I thought I would share with you a little freebie I created with snow on my mind. 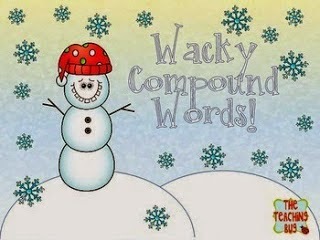 We are going to work on compound words this month and I thought I would share a little snowman fun with you. I hope you enjoy it.